Kuu London Osteopathy and Healing. A dedicated space for conscious health and wellbeing. Restore – Unwind – Energise. 空 Kū, read as Kuu, in Japanese means sky or heaven. It is the space that surrounds us, and it is also within us. It translates as ether, the fifth and most sacred of the elements, and in Sanskrit means open space. Our East London clinic has been created to embody this sense of a sacred space. Somewhere you can come to find ‘space’, both within yourself and within the business of life, to restore, revive and address what needs to be addressed. Osteopathy offers an integrated approach to healthcare with a treatment process tailored to the individual needs of each patient. 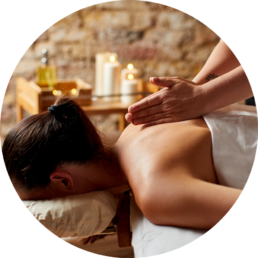 Kuu offers a wide selection of therapies ranging from relaxing and pampering massages to therapeutic bodyworks, pre&post natal services, nutritional support, sound healing and past life regression. Explore our monthly range of classes, courses and workshops from our friendly and intimate studio.